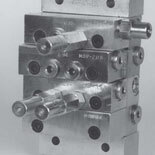 Oil flow and plunger movement of typical Divider Valve Block. Wm Coulthard & Co provides systems that give the customer precisely what they require. Some customers prefer to have a system that offers less control over individual adjustment but can automatically monitor the flow at each lubrication point. 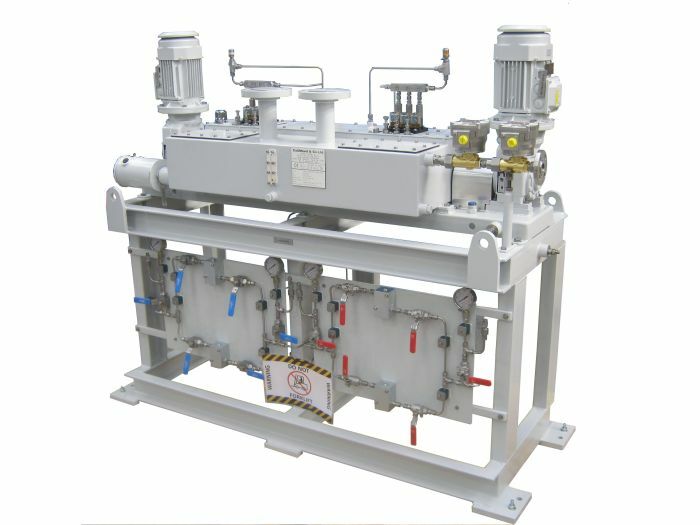 The oil output from the pump units of a box lubricator may singly or combine to supply oil to a divider valve (or network of dividers). 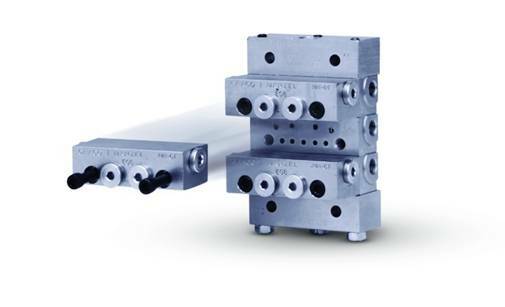 These divider valves distribute the oil as precisely proportioned amounts to each lubrication point in turn. 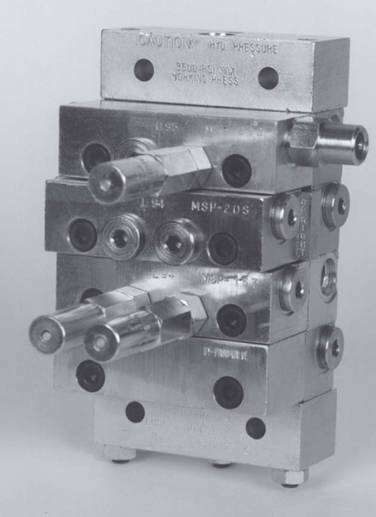 Sometimes known as a Series Progressive system, each output point in the divider block produces a flow of lubricant one after the other in a cycle. A pre-determined volume of oil is delivered progressively to each lubrication point in series during the cycle. Once completed, the cycle repeats. 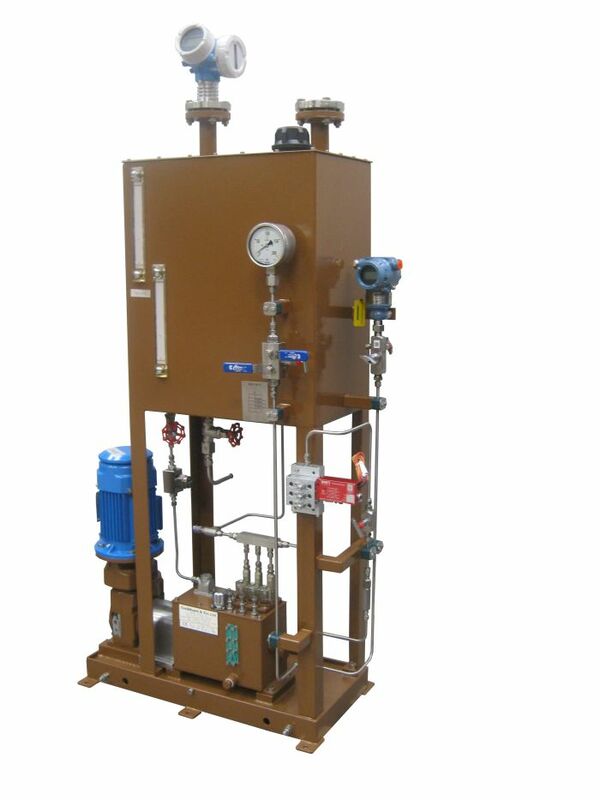 The system allows a large number of lubrication points to be served by one lubricator. 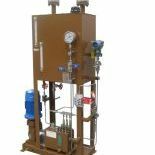 Adjustment to flow once installed can only be made to groups of lubrication points, so it is important that precise operating data is known at the design stage to produce a detailed system layout. 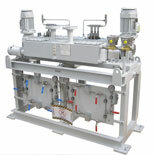 Centralised control and full monitoring capabilities of system. 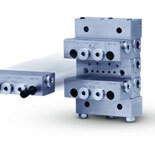 Standard divider blocks available up to 241 bar. Max pressure differential within a block is 150 bar. Multiple points affected if an inactive line; failed pump; or divider block. Precise operating data required at outset to produce a detailed system layout. 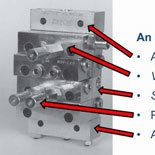 Flow to individual lubrication point cannot be altered. Copyright © 2015 - WmCoulthard.com All rights reserved.